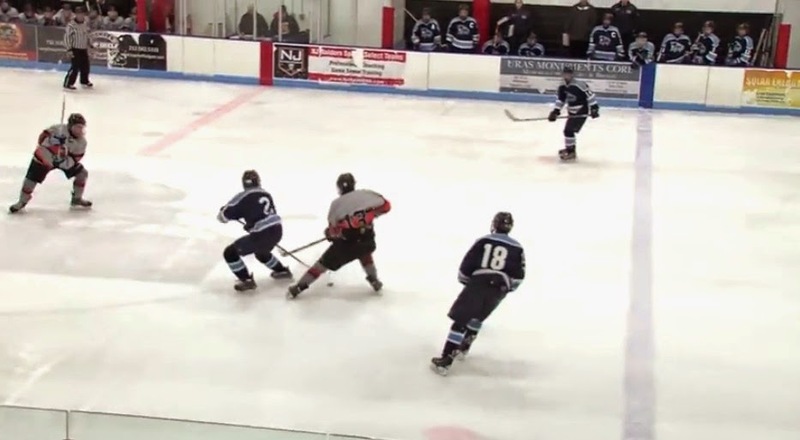 Dirty Dangle Hockey: The Best Assist You've Ever Seen? The Best Assist You've Ever Seen? The defence Kislin faces is suspect, but the moves he makes are video game like. After picking off a clearing attempt at centre, Kislin avoids a bodycheck and splits two forwards at the red line. Those two opponents nearly collide and Kislin is knocked off stride temporarily which helps him pull off one of the dirtiest dangles we've ever seen. Kislin slows down as an approaching player attempts to steal the puck and spins around Defender #13 while passing the puck to himself through #13's legs who subsequently blows a tire. After an Aki Bergian stick check from the left defenceman at the blueline is promptly avoided with a simple deke, Kislin feeds the puck through the last d-mans legs to a wide open Halvorsen who goes backhand and scores. What. An. Assist. We might even hear about Kislin in the future as he was an invitee to USA Hockey's summer player development camp last year as one of the best U-16 players in the nation.